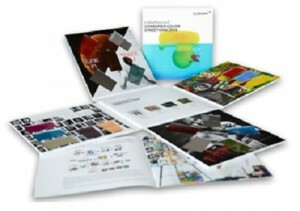 Muttenz, January 15, 2014 – Clariant, a world leader in specialty chemicals, unveils its 9th color forecasting guide for the plastics industry – ColorForward™ 2015. The acclaimed annual tool from Clariant’s ColorWorks® defines the trends that will attract people’s attention and pave the hue palette for 2015. It is uniquely designed to offer the sector’s designers and manufacturers a head-start on using the power of color to influence and guide consumer purchasing decisions. “As a natural element, color has the power to transcend and translate cultural, political, religious and social influences. As a tool, it has the power to communicate emotions and stories as succinctly as possible. And in the world of plastics, it acts as the ideal marketing driver to steer consumers’ purchasing choices for the future,” comments Judith van Vliet, Designer at ColorWorks Europe/IMEA. ColorForward color predictions are based on intensive research of the most influential societal trends around the world. The creative process includes in-depth presentations from ColorWorks centers all over the world, where regional trends and influences are explored. Experts from the world’s major trend-watching organizations, and color experts from diverse creative industries contribute to the process. The stresses of modern day life bundled with technology overload, which has resulted in less face-to-face and more screen-to-screen interaction, has given rise to a strong need to eggshell oneself from the world. Boredom is more appealing, while silence is the ultimate luxury. Digital detox is your rejuvenating tonic. Unplugging forces you to interact with real people and reconnect with your personal identity. Disconnect to connect. Being Internet-free is mindful living—digital detox for your fingers and eyes, mind and soul. There is beauty in living and in observing what surrounds you in slow motion. With the current population of the Earth using the resources of more than four planets, living on Mars appears today as an option worth considering for the future of mankind. The current generation has heralded the changing of the guard. Not too long ago, people lived to work. Today, individuals want more from life. They need to be more creative in everything they touch and achieve. They want to live to live. Joypreneurs, a new entrepreneurial type, are the interpreters of the anti-cubicle-revenge approach to work. They prefer to get paid for skills, instead of time. We also note that technology has paved the way for small-scale manufacturing to succeed as it allows people to be creative and work lean. As a fil rouge in the approach of generation Y to all facets of life, gamification plays an increased role in everyday culture. It refers to applying game thinking to non-game applications. People enjoy getting rewarded with points. The newfound optimism of the millennials comes due to the rebirth of innovative empathy and is driven by a series of social thinkers, including provocateurs, who believe in the beauty of good, wholesome practice. Identity. Expression. Orientation. Biology. Four dimensions that help translate into conventional words the most complex multi-dimensional space ever created: the human being. Not all of it, indeed, just what, conventionally, we used to refer to as “gender.” Male or female? It’s nothing more than biology. Woman or man? Should we just want to look at identity? Masculine or feminine? Do we really care about expression only? Homosexual or heterosexual? Sexual orientation is not everything (and isn’t limited to that). Does it really make sense to cluster human beings in labeled cells, like wild animals in zoo cages? Does it really benefit human beings to expect each and every one of us to fit into a preconceived and conventional scheme, rejecting the acceptance of human nature as a collection of infinite shades within the concept of a Person? A Person is a Person. A human being who should be considered as an individual that excels beyond the limits created by prevailing and selfish man-made cultures, which have been artificially built over the centuries and are detached from freedom-pervading Nature. Labels are most often construed with the sole aim of preserving and perpetuating themselves and their respective underlying powers and interests. Labels are over. In a reaction to the overprotected way of living of the third millennium, and driven by refined technologies, refined processes, refined food and refined physical activity, an increasing number of people are opting for a return to the raw sense of their primal state. People are getting harsher and tougher. They are reaching within themselves for power and inner strength. They seek to be a part of nature where survival of the fittest is key. We are seeing a controlled release of anger. Blood and bruises are the new badges of courage. The natural consequence of the popularity of extreme sports and fitness routines is the rise in “extreme” consumer products, which first began in the beverage industry. Consumers no longer want “normal”; they want a wider variety of “extreme” goods. Food is seen as fuel for providing greater strength and longer endurance, and for helping you achieve your goal. Clariant Masterbatches products are marketed under the following global brand names: REMAFIN® olefinic masterbatches and compounds; RENOL® masterbatches and compounds based on engineering resins, styrenics and PVC; MEVOPUR® masterbatches for medical and pharma; CESA® additive masterbatches; HYDROCEROL® chemical foaming and nucleating agents; OMNICOLOR® universal color masterbatches, and ENIGMA® special effects; HIFORMER®, the liquid masterbatches system. These brand names and ColorWorks® are all registered trademarks, and ColorForward™ is a trademark of Clariant.